Als der IEEE den 802.3ba-Ethernet-Standard einführte, ebnet er den Weg für die Einführung von 40-Gb/s- und 100-Gb/s-Ethernet-Operationen. Ob Sie es glauben oder nicht, die 40-Gigabit-Ethernet-Ära steht bereits bevor. Dieser Text gibt einen kurzen Überblick über die aktuellen 40-GbE-Optiken und Formfaktoren, die bei der Planung zukünftiger Hochleistungs-Ethernet-Anforderungen hilfreich sind. IEEE 802.3ba führte die 40-Gigabit- und 100-Gigabit-Ethernet-Standards im Jahr 2010 ein. 802.3ba ist die Bezeichnung für die Ethernet-Task Force mit höherer Geschwindigkeit, die ihre Arbeit zur Änderung des 802.3-Standards für Geschwindigkeiten von mehr als 10 Gbit/s abgeschlossen hat. Dies war das erste Mal, dass zwei verschiedene Ethernet-Geschwindigkeiten in einem einzigen Standard spezifiziert wurden. Die folgende Tabelle enthält detaillierte Spezifikationen für 40-Gigabit-Ethernet-Standards. Wie bei jeder neuen Generation von Technologie, ein Design-Ziel war es, so viel vorhandene Technologie wie möglich zu nutzen. Durch die Minimierung der Anzahl neuer Schnittstellen werden die Schnittstellen kostengünstiger und nutzen die Volumenproduktion und Einfachheit. Um diesem Design Ziel gerecht zu werden, gibt es drei Medienmodule, die in der ersten Generation von 40 Gigabit Ethernet eingesetzt werden: QSFP+ Module, CXP und CFP. Der Quad Small-Form-Factor pluggable QSFP+ Module ist ähnlich groß wie der CXP und bietet vier Sende-und vier Empfangs Bahnen zur Unterstützung von 40-Gigabit-Ethernet-Anwendungen für Multimode-oder Single-Fasern und Kupfer. Der CXP-Transceiver verfügt über 12 Sende-und 12 Empfangs Bahnen mit 10 Gbit/s, um 1 100 Gigabit-Ethernet-Port oder bis zu 3 40 Gigabit-Ethernet-Ports zu unterstützen. Es kann bis zu 120 Gbit/s von austauschbaren Daten über 12 Fahrspuren in einer Baugruppe erreichen, während Enhanced-Footprint-Konnektoren Signale über 10 Spuren für bis zu 100 Gbit/s übertragen. Der C Form-Factor pluggable CFP Module ist ein neues Medienmodul, das für Anwendungen mit einer längeren Reichweite konzipiert wurde, mit bis zu 24 Watt Stromverlust. Seine dichten elektrischen Steckverbinder und der integrierte, fahrende Kühlkörper ermöglichen eine Reihe von Schnittstellen. Dieses Modul wird für 40GBASE-SR4, 40GBASE-LR4 verwendet. Das häufigste GbE-Kabel ist das QSFP-Kabel. Z. b. QSFP Direct-Attach-Kupferkabel (DAC) und QSFP-aktives optisches Kabel (AOC). Außerdem gilt das MPO/MTP-Kabel als die beste Lösung für GbE. Da MPO/MTP-Steckverbinder entweder über 12 Fasern oder 24 Fibres-Arrays verfügen, kann die Datenübertragung über mehrere Fasern gleichzeitig ermöglicht werden. Die Übertragung von 40GbE über kurze Distanzen paralleler koaxialer Kupferverkabelung (auch als Twinax-Verkabelung bezeichnet) erfolgt über eine spezielle Verkabelung mit vier Bahnen koaxialer Verkabelung (acht Paare). Vier Paare übertragen jeweils 10 Gbit/s in eine Richtung und vier übertragen 10 Gbit/s in die andere Richtung für eine Gesamt Datenrate von 40Gbit/s. Die beide übliche DAC Kabel, die in 40 Gigabit Ethernet verwendet werden, sind QSFP auf QSFP und QSFP auf 4 SFP+ Kupfer Direct Attach kabel. Auf dem Markt gibt es zwei gängige aktive optische Kabel für 40 Gibabit Ethernet: QSFP bis 4 SFP+ Breakout AOC Kabel und QSFP auf QSFP AOC Kabel. Das erstgenannte ist ein 4 x 10 Gb/s paralleles aktives optisches Kabel, das vier getrennte Ströme von 10 Gb/s Daten über Bandkabel in einer Punkt-zu-Mehrpunkt-Konfiguration überträgt. Das Kabel enthält ein QSFP+ Module an einem Ende und vier separate SFP+ -Module an den anderen Enden. Letzteres ist ein paralleles aktives 40 Gb/s-Kabel, das fehlerfreie parallele 4 x 10 Gb/s-Daten über Multimode-Faser (MMF)-Bandkabel überträgt. Gegenwärtige Multimode-Optikstandards für 40Gb-Optiken verwenden mehrere 10Gbps-Laser, die gleichzeitig über mehrere Faserstränge übertragen werden, um hohe Datenraten zu erreichen. Für 40 Gigabit Ethernet können wir 8 Fasern MPO/MTP Kabelbaumkabel oder 12 Fasern MPO/MTP Stammkabel verwenden. Erst verbinden Sie einen QSFP-Port direkt mit anderen 4 SFP+ -Ports. Dann sollen Sie einen QSFP-Port direkt mit einem anderen QSFP-Port verbinden. With the top trend for data center and enterprises to move to higher data rate like 40G, relevant products and technologies are developed to back this new speed (e.g. the 40G optical transceivers and cables). However, there are so many options out there on the market. Network users usually don’t know how to make a choice. Take the 40G cables as an example, the most commonly used 40G cables are the 40G direct attached cable (DAC) and active optical cable (AOC). Each has its unique specification and usage. Which would be the most suitable one for connecting signals across the rack in data center? This article will provide you an ideal answer from the aspect of cabling performance, transmission distance and cost. QSFP DAC cable is a form of high-speed cable with “transceivers” on either end used to connect 40Gbqs switches to routers or servers. QSFP+ DAC cable usually comes in either active or passive versions. They are widely available for short-reach 40G interconnect (within 7 meter). 40G DAC cables transmit 40GbE over short distances of parallel coaxial copper cabling. It uses a special cabling assembly with four lanes of coaxial cabling. Each transmit 10 Gbps for a total data rate of 40 Gbps. QSFP to QSFP and QSFP to SFP+ cable are the two common types of 40G DAC cables. 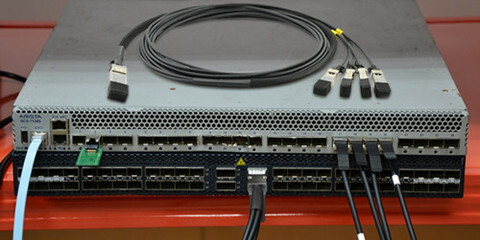 The picture below shows a QSFP to SFP+ DAC breakout cable connected in a switch. AOC cable uses electrical-to-optical conversion on the cable ends to improve speed and distance performance of the cable while mating with electrical interface standard. Compared with DAC cables, its smaller size, longer transmission distance, lower insertion loss and electromagnetic interference immunity make it popular among subscribers. 40G AOC cables (see in the image below) can support longer distance than QSFP+ DAC cables (within 15m). After the brief introduction to the DAC and AOC cables, what to be considered next is the detailed comparison from the expects of cost, distance and cabling performance. The following chart shows a vivid comparison between them. Cost is typically the No.1 factor affecting your selection. When it comes to 40G DAC cables, it is the same, although it’s quite clear that copper is much cheaper than optical cable. AOC, with connectors embedded with electronics and/or optics is the most expensive one. But it supports the highest transmission distance, many data centers won’t choose it because of the high cost. While passive copper cable is much cheaper than AOC. However, the truth is that it cannot support 40G transmission in most cases in data center. Active copper cable is less expensive than AOC and can support longer transmission than passive copper cable seems to be a good choice. In this battle over cost, passive copper cable wins. But it is not suggested for 40G transmission in most cases. The main reason why DAC active copper cable and AOC can support longer transmission distance than passive cooper cable is that they are supported with active electronics. Passive copper cable requires no power. For 40G transmission, the power required for active copper cable is about 440mW, which is much less than that of AOC—2W. Thus, passive copper cable wins for its low power consumption. Cooling is always crucial for data center, as it is closely related to the data center reliability and life of use. During DAC cable selection, two main factors can affect the cooling of data center. One is cable size. the other is the power consumption of direct attached cable. For the former factor, the thinner the cable is, the better dispersion devices in data center would have. AOC cable is the thinner than DAC cables. And DAC active copper cable is also thinner than passive cooper cable. The relation between power consumption and data center cooling is easy to understand. Higher power consumption can generate more heat in data center, which will load more burden on the data center cooling system. As mentioned before. AOC cable needs the highest power and DAC passive copper cable needs the lowest. In the past, when the data rate required is less than 5 Gbps, the passive copper cables are used for interconnection. This type of DAC connects two SFP connectors by a copper cable, providing direct connection between cable ends via copper wire. Thus they are not expensive and robust with reliability. As it is passive, they need no power generally. However, when it comes to 40Gbps, they cannot satisfy such data rate in most cases. 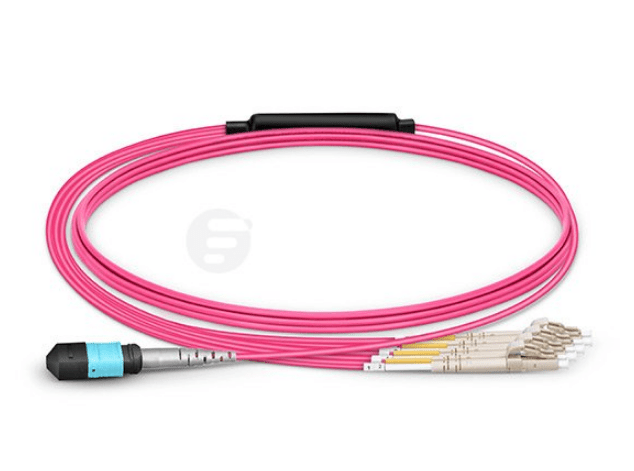 The passive copper cable with QSFP connectors attached on both ends can only support transmission 40 Gbps over very short distance. Thus passive copper cable is not suggested for regular 40G interconnection, unless 40G transmission is in very short distance. Then AOC cable is introduced to overcome this challenge. Optical cables are thinner, flexible and can reach much longer distance up to 100 meters or more, which is much longer than that of the passive copper cable. However, AOCs are usually very expensive with the connectors attached on the active optical cable are embedded with optics and/or electronics. The connectors of the DAC active copper cable are embedded with electronics. Although they cannot support transmission distance as long as AOC, active copper cable can support longer transmission distance than that of the passive copper cable via copper wire. 40G transmission distance of active copper cable is about 15 meters. To sum up, if you have a special requirement of the transmission distance. Then active optical cable wins with a transmission distance up to 100 meters. The active copper cable got the second place. And passive copper cable is at the last place. It is only suggested for 40G transmission over really short distance. After comparing the performance of the DAC and AOC cables, we understand that the DAC passive copper cable is only suitable for really short-reach applications. While AOC cable possesses the best transmission performance but with higher cost in both material and daily use, and it needs more power as well. As for the DAC active copper cable, it can can support 40G transmission up to 15 meters with low power consumption, and satisfy the regular interconnection requirement for distance and cooling in most data center. What’s more, it is less expensive. FS.COM offers a full range of 40G QSFP cables including 40G DAC cable and AOC cables. Besides, the QSFP transceivers are also provided. In response to the increasing bandwidth demands, the IEEE certificated 802.3ba Ethernet standard paving the way for the introduction of 40G and 100G Ethernet operations. Whether you believe it or not, the era of 40G Ethernet is upon us. 40GBASE QSFP+ (quad small form factor pluggable) portfolio offers customers a wide variety of high-density and low-power 40 Gigabit Ethernet connectivity options for data center, high-performance computing networks, enterprise core and distribution layers, etc. For instance, 40GBASE-SR4 and 40GBASE-LR4 QSFP+ transceiver are the common 40 Gigabit Ethernet connectivity options. 40GBASE-SR4 transceiver usually uses multimode fiber for short-reach application, while 40GBASE-LR4 QSFP+ is mostly favored by users for long-hual application. However, there are two links for 40GBASE-LR4 standards. One is coarse wavelength division multiplexing (CWDM). The other is parallel single-mode fiber (PSM). What’s the difference between them? In this article, a brief contrast between them will be introduced to you. 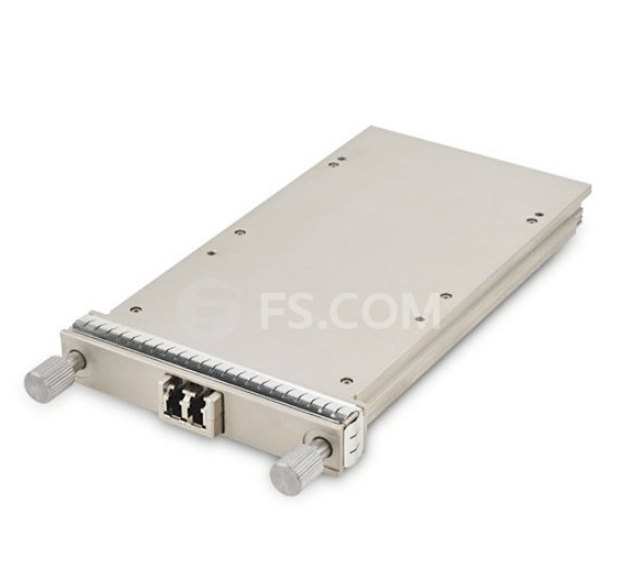 The 40GBASE-LR4 CWDM QSFP+ transceiver is compliant to IEEE P802.3ba 40GBASE-LR4 standard. 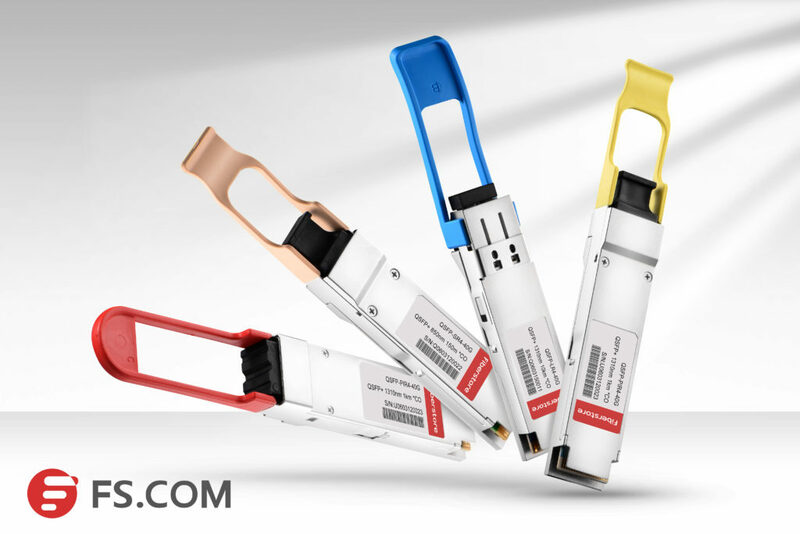 This QSFP module supports link lengths of up to 10km over single-mode fiber (SMF) with duplex LC connectors. This transceiver converts 4 inputs channels of 10G electrical data to 4 CWDM optical signals by a driven 4-wavelength distributed feedback (DFB) laser array, and then multiplexes them into a single channel for 40G optical transmission, propagating out of the transmitter module from the SMF. Reversely, the receiver module accepts the 40G CWDM optical signals input, and demultiplexes it into 4 individual 10G channels with different wavelengths. The central wavelengths of the 4 CWDM channels are 1271, 1291, 1311 and 1331 nm (defined as members of the CWDM wavelength grid in ITU-T G694.2). Each wavelength channel is collected by a discrete photo diode and output as electric data after being amplified by a transimpedance amplifier (TIA). Unlike CWDM QSFP+ transceiver using a LC connector, PSM QSFP+ is a parallel single-mode optical transceiver with an MTP/MPO fiber ribbon connector. It also offers 4 independent transmit and receive channels, each capable of 10G operation for an aggregate data rate of 40G on 10km of single-mode fiber. Proper alignment is ensured by the guide pins inside the receptacle. The cable usually cannot be twisted for proper channel to channel alignment. In terms of a PSM QSFP+, the transmitter module accepts electrical input signals compatible with common mode logic (CML) levels. All input data signals are differential and internally terminated. The receiver module converts parallel optical input signals via a photo detector array into parallel electrical output signals. The receiver module outputs electrical signals are also voltage compatible with CML levels. All data signals are differential and support a data rates up to 10.3G per channel. 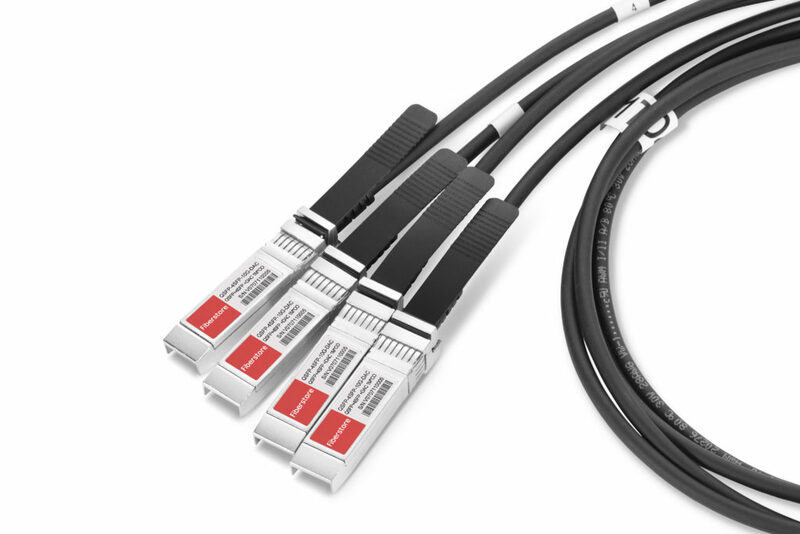 As noted before, 40GBASE-LR4 CWDM QSFP+ transceivers use a duplex LC connector via 2 optical single-mode fibers to achieve 40G without making any changes to the previous 10G fiber cable plant. However, 40GBASE-LR4 PSM QSFP+ transceivers use an MTP/MPO fiber ribbon connector via 8 optical single-mode fibers to reach 40G. Obviously, CWDM QSFP+ is a more cost-effective solution for 40G connectivity. Additionally, the caveat is that the entire optical fiber infrastructure within a data center, including patch panels, has to be changed to accommodate MTP connectors and ribbon cables, which are more expensive than conventional LC connectors and regular SMF cables. Not to mention that cleaning MTP connectors is not a straightforward task. To sum up, PSM and CWDM are the two links of 40GBASE-LR4 QSFP+ transceivers. Both of them can support a link distance of 10km. However, 40GBASE-LR4 CWDM QSFP+ are more common than 40GBASE-LR4 PSM QSFP+ because of its performance and low cost. Fiberstore offers a wide brand compatible 40G CWDM QSFP+ transceivers. Each of our fiber optic transceivers has been tested to ensure its compatibility and interoperability. For more information or quotation, please contact us directly.